Small whistle with square mouthpiece with pea. 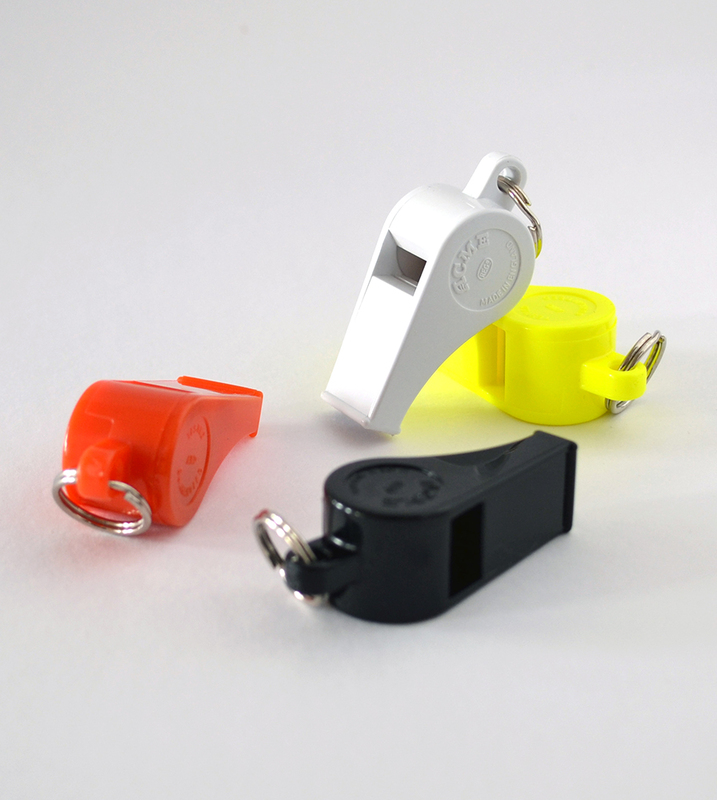 Plastic in 4 colors, black, yellow, orange, and white. High-pitch. Made in U.K. Easiest whistle to blow.